Bod and his friends spend the day at the park whilst Frank the Postman mows his lawn. But when a gaggle of geese follow them back to Frank's house, they discover unexpected uses for gooses, I mean geese! Bod was originally published in the 1960s and was adapted into a BBC television series that aired in 1975. 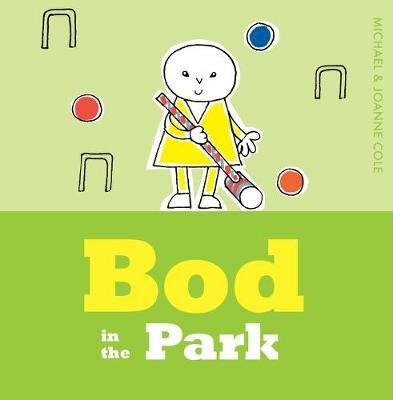 The wit and serene charm of Bod have delighted children and adults alike ever since. Parents will love sharing their favourite childhood character with the younger generation. Bod is the perfect read for children aged 4 and up. Have you got all of Bod's Adventures? Bod and Breakfast Bod and the Cake Bod and the Cherry Tree Bod in the Park Bod on the Beach Bod's Apple Bod's Dream Bod's Present Husband and wife Michael and Joanne Cole created numerous award-winning children's TV programmes for the BBC, including Fingerbobs, Bod and Ragtime, which featured illustrations by Quentin Blake.